Avaiable still - in Red! Creating unique cabinets to hide your kitty's litter box. 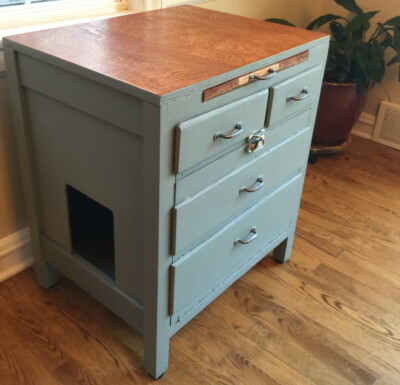 We source items that would otherwise get thrown away and upcycle the cabinets and boxes to create one-of-a-kind Cat Litter Box Furniture. We have on display some of the cabinets we have for sale in Available Now and we have examples of past cabinets that have been sold to give you an idea of what we can make for you.